Rubbish Removals Sydney: What Happens If Rubbish Is Not Collected? Rubbish Removals Sydney: we all know that rubbish collection services is one of those requirements for clean and pleasant living conditions. In this blog we take a look at a small island that has been described as having the “world’s worst plastic rubbish density”. Waster offers low cost and reliable waste and recycling services (such as rubbish removals Sydney and garbage recycling) to small and medium Australian businesses. 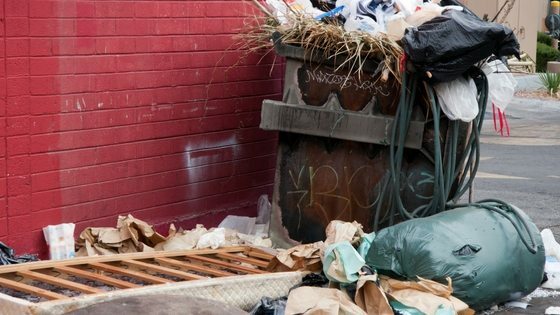 With our flexible 30 day agreements (for Sydney rubbish removal services) – you can say goodbye to lock in contracts, roll over clauses and heavy handed tactics. Check out our prices and bin options and book online today. You can also contact us via phone call to our friendly team to discuss your unwanted items, green waste removals, type of rubbish or junk removal. Rubbish removals Sydney – what would happen if the city did not have reliable services? One of the most amazing things about Sydney – is its beautiful waterways and beaches – just imagine if they were polluted with rubbish and plastic debris. That is exactly the problem experienced in the South Pacific Island – Henderson Island. The problem is covered by a recent article on the BBC website. The article discusses the impact of plastic pollution (caused by other countries – including Australia) dumping their waste and not processing it correctly – this has huge environmental impacts on un-populated islands such as Henderson Island. The issue is so bad – the island is estimated to have c. 37.7m pieces of debris on its beaches. “The island is near the centre of an ocean current, meaning it collects much rubbish from boats and South America.” We have covered this issue in previous blogs – i.e. the great Pacific rubbish area (see Recycling Facts Australia). See other blogs we have published on the subject such as recycling bin (on how India is building roads from waste) and what is waste management. Also see our blog on what can be recycled. We have talked lots in recent blogs about how we need a comprehensive solution to plastic waste and also recycling in Australia. China is not accepting Aussie recycling anymore and so we need to find smart ways of recycling in this country. A thorough waste management plan on a national level and steps towards a true circular economy are vital. Waste collection and storage of plastic waste is however a vital aspect, whether we recycle or not as plastic waste is causing havoc in our oceans and seas. Waster can help you (whether home or business) and provide the waste removed service you require at a cost effective price. See a video below on how a true circular economy would work. How far are we from this in Australia in 2018?